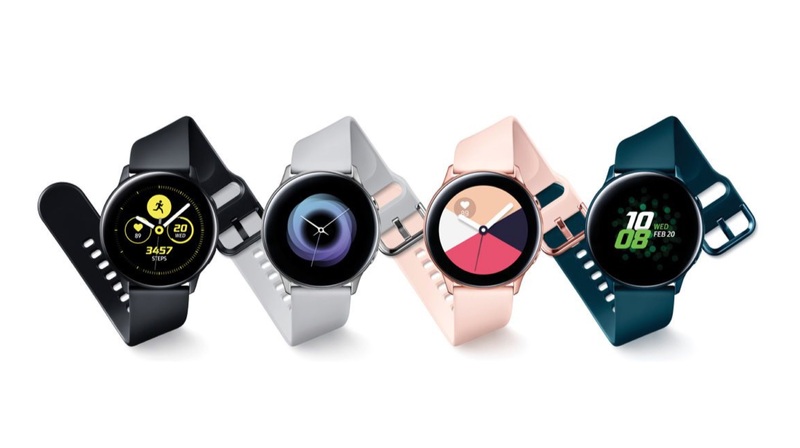 Samsung launched its new wearables range at the Galaxy Unpacked event in San Francisco, which includes the Galaxy Buds, Galaxy Fit/Fit e, and the Galaxy Watch Active. 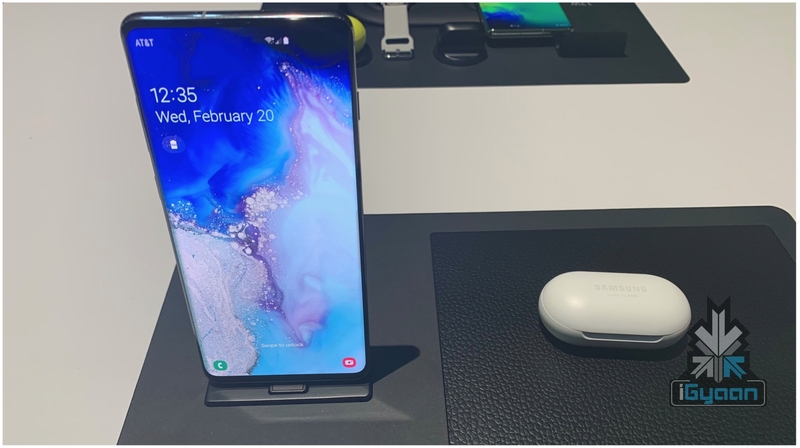 The South Korean electronics brand also unveiled its Galaxy S10 lineup at the event which introduces the Galaxy S10, S10+, and S10e. All these devices feature a number of revamps from their predecessors. The Galaxy Watch Active runs on Tizen based wearable OS 4.0 and packs an Exynos 9110 SoC which consists of a dual-core processor. 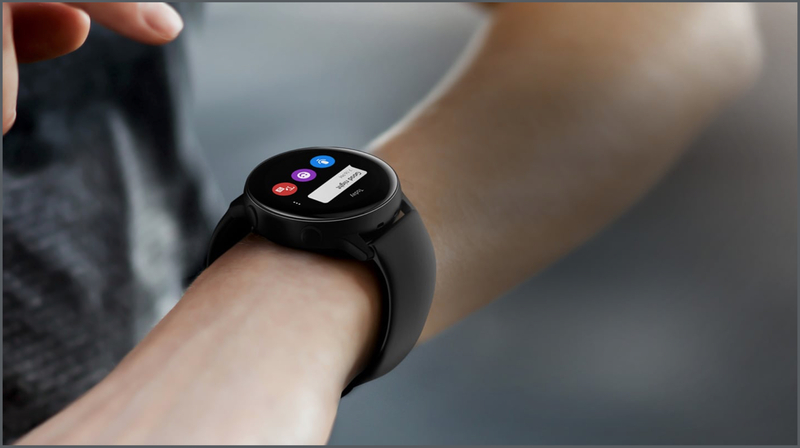 The smartwatch has a reduced screen size than the Galaxy Watch from 2018, measuring 1.1 inches in diameter and having a resolution of 360×360 px. It is powered by a 230 mAh battery. 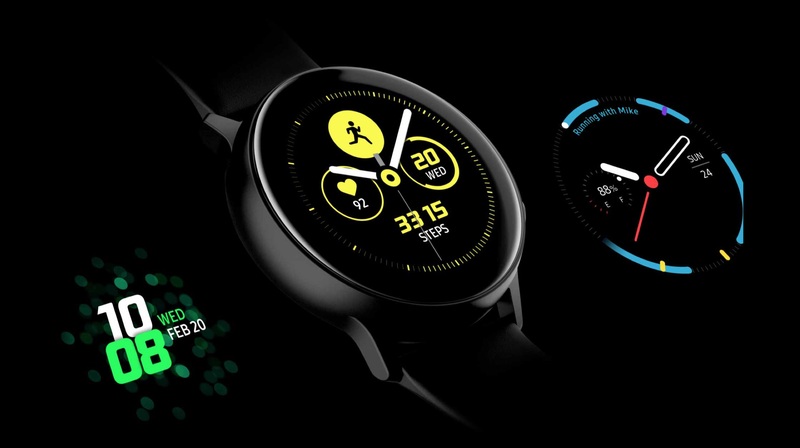 The Galaxy Watch Active sports an AMOLED display. 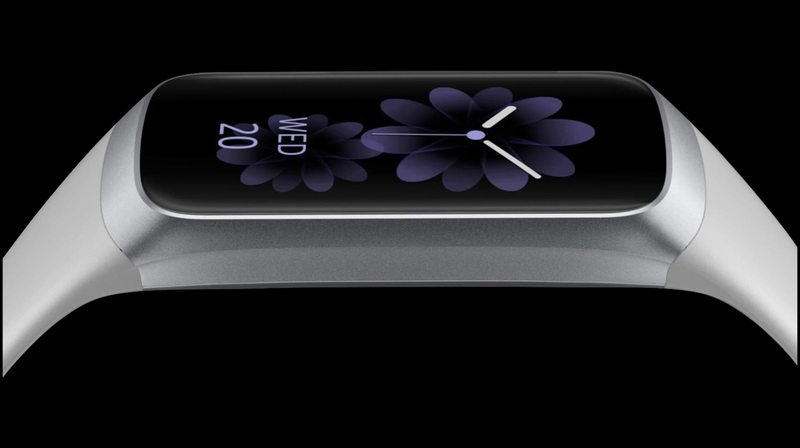 The smartwatch runs on Samsung’s freshly overhauled One UI, and is operated via gestures and the two side mounted buttons. It automatically recognizes and tracks the activity being performed by the user. Apart from that, it also has a continuous heart rate tracking feature which can provide users with real-time information regarding their cardiac health. The Galaxy Watch Active has 768 MB of RAM and 4 GB of internal storage. The smartwatch is IP68 water and dust resistant and is MIL-STD-810G certified. Connectivity options on the device include GPS, NFC, Bluetooth 5.0. As far as the sensors go, the Galaxy Watch Active has an accelerometer, ambient light sensor, gyroscope and a pedometer. Furthermore, the smartwatch also has a sleep monitoring feature. The Galaxy Watch Active is available in 4 colours, Silver, Black, Rose Gold, and Sea Green. The smartwatch is priced at US $199.99 (around Rs. 14,300) but there is no announcement of its release in India yet. 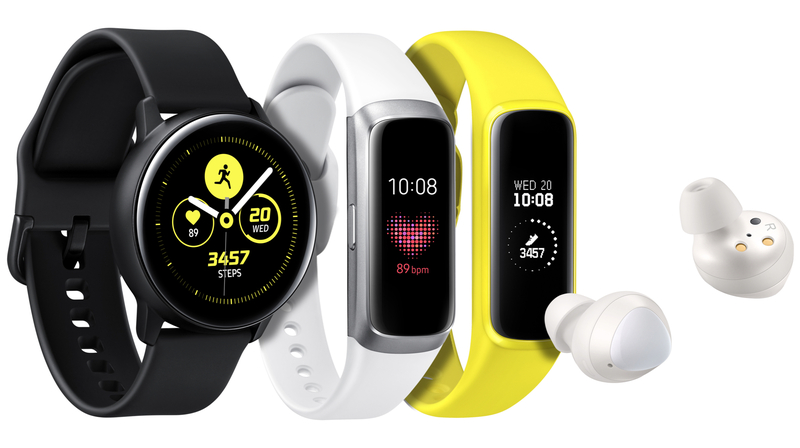 Samsung announced its fitness activity trackers at the event, known as the Galaxy Fit and Galaxy Fit e. As the name suggests, they are mainly targeted towards fitness enthusiasts. As per Samsung, the newly launched Galaxy Fit and Fit e are designed for users who need the functionality of just a fitness tracker and not a smartwatch. The Galaxy Fit and Fit e can automatically start tracking the user when he/she starts running, biking or swimming. Apart from this, users can also choose their exercise manually from a list of over 90 different activities. Both fitness trackers sport lightweight and ergonomic design. The Galaxy Fit has a 0.95 inch AMOLED screen, with a resolution of 240×120 px. On the other hand, the Galaxy Fit e has a smaller 0.74 inch PMOLED display (Passive Matrix OLED) with a 128×64 px resolution. The fitness trackers run on Realtime OS and are also equipped with a heart-rate monitor. Noteworthy, the fitness trackers are 5ATM water resistant (up to 80 PSI). 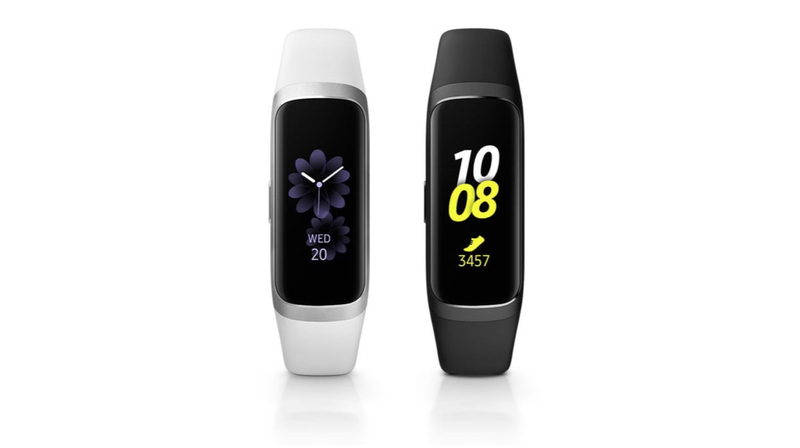 The Galaxy Fit will be available in Black and Silver colours, whereas the Galaxy Fit eis available in Black, White and Yellow colour options. The Samsung Galaxy Fit has been launched with a price tag of US $99 (roughly Rs. 7,000). It will go on sale May 31 onwards in the US. However, the availability and price of the Galaxy Fit e have not been revealed yet. It is still unclear when these fitness trackers will be launched in India. 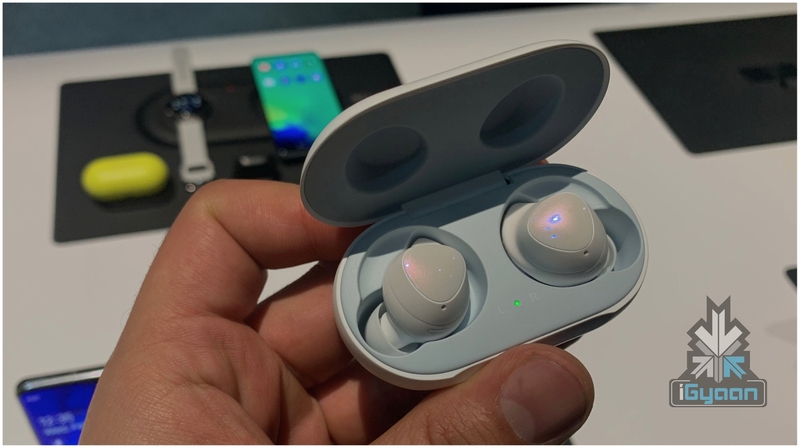 Samsung also launched its Galaxy Buds at the Galaxy Unpacked Event. The wireless earbuds are slightly smaller than the Gear IconX earbuds and have Bixby integration. As per Samsung, the voice assistant can process instructions in multiple languages including German, Italian and Spanish. The Galaxy Buds are available with the AKG branding. AKG Acoustics (Akustische und Kino-Geräte) are used in various studios worldwide for high quality sound. The wearables have a 5.8pi dynamic driver in each earbud along with an Adaptive Dual Microphone system. This allows users to communicate more easily in loud environments. The case for the Buds is chargeable via USB Type-C. A 58 mAh battery powers each earbud, delivering 5 hours of calling time or up to 6 hours of music playback. The charging case for the earbuds packs a 252 mAh battery which can add an additional 7-8 hours to the battery life of the earbuds. 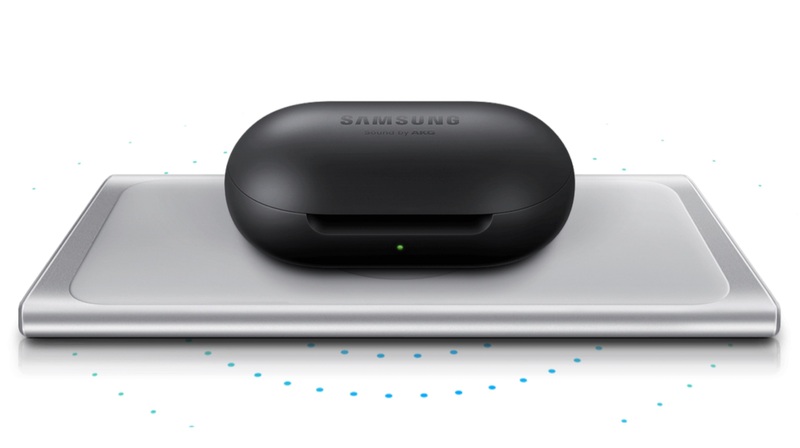 Furthermore, the Galaxy Buds support wireless charging, so they can be charged by placing them on the rear of the Samsung Galaxy S10. This feature, known as Samsung’s ‘Powershare’ was first noticed in the Huawei Mate 20 Pro. The wireless earbuds use Bluetooth 5.0 for connectivity with smartphones. The case for the wireless earbuds weighs 39.6 grams, while each Galaxy Bud weighs at just 5.6 g. The charging case measures at 38.8x70x26.5mm. whereas the Galaxy Buds measure 17.5×19.4×22.3mm. They are equipped with ear on/off detection sensors, as well as touch sensors for controlling playback and accepting/rejecting calls. The Galaxy Buds are available in 3 colours, White, Black and Canary Yellow. They are priced at $129, which roughly converts to Rs. 9,200. 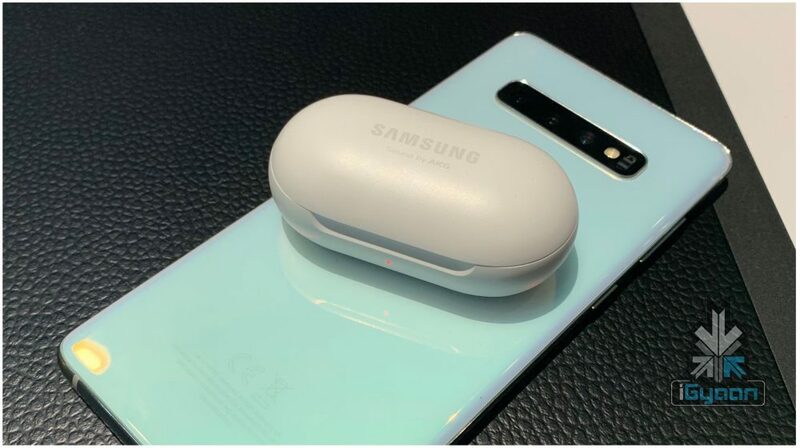 Early customers can get a free pair of Galaxy Buds on pre-ordering the Galaxy S10 or the Galaxy S10+.